The latest, 4th generation 2018 Suzuki Jimny off-roader is yet to make an official global motor show debut but details of the upcoming vehicle are now out. We have studio pictures and a lot of other details about this vehicle, which could eventually make it to the Indian market in a long wheelbase avatar. For now, we know that the new Jimny will be much longer than the outgoing version, and this is applicable even to the short wheelbase version. 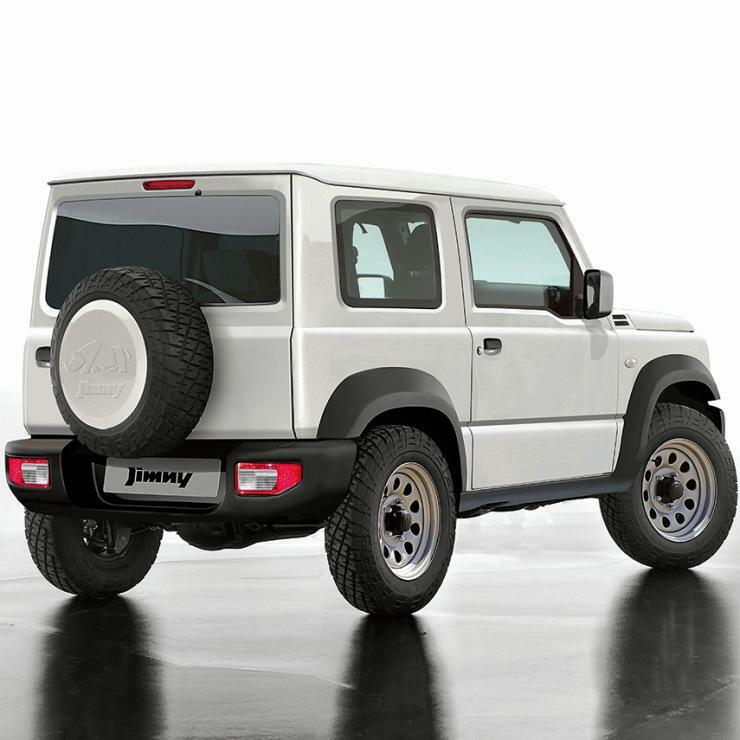 The new Jimny’s length goes up to 3.91 meters, from the outgoing version’s 3.69 meter length. The off-roader will be launched in Japan by the middle of this year, after which it’ll be sold in other international markets. As for India, Maruti’s engineering head Mr. CV Raman has noted that the demand for the Jimny does exist but in a lifestyle vehicle form. 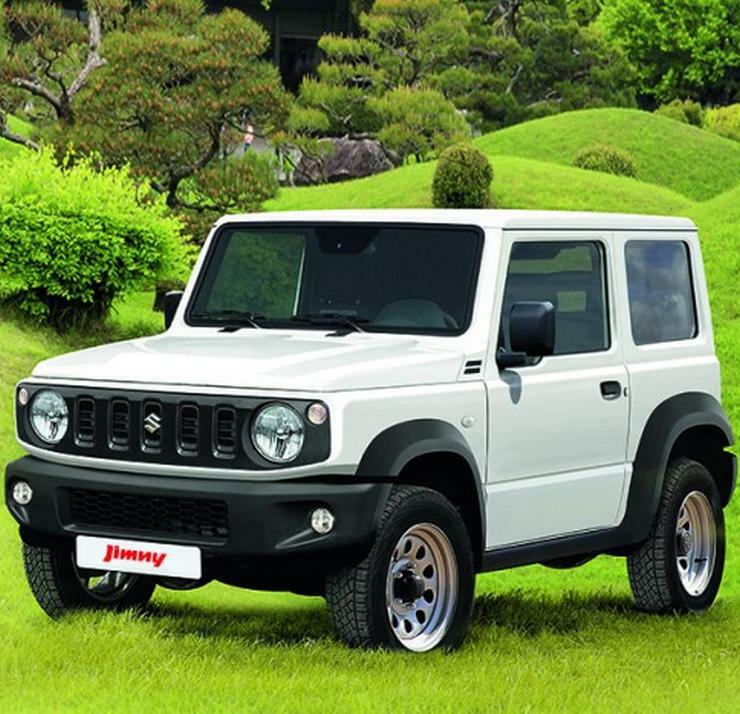 Maruti is expected to bring in the longer wheelbase version of the new Jimny to India which means that the vehicle won’t be launched here anytime before 2020. The new Jimny will offer airbags and ABS, and will be built to comply with crash test norms of the developed world. It’ll use a 1 liter-3 cylinder turbocharged petrol engine with over 100 Bhp of peak power and about 170 Nm of peak torque. This makes it a lot more powerful than the current Jimny although a diesel engine is not likely in the new model. Gearbox options on the new off-roader could include 5-speed manual and 6-speed torque converter automatic gearboxes. What we do know is the fact that the new Jimny will use Suzuki’s AllGrip all wheel drive system with a two-stage reducer. The SUV will continue to be a highly capable off-roader thanks to its short wheelbase and short overhangs. There will be a major improvement in the interiors, with regard to quality levels and equipment on offer. 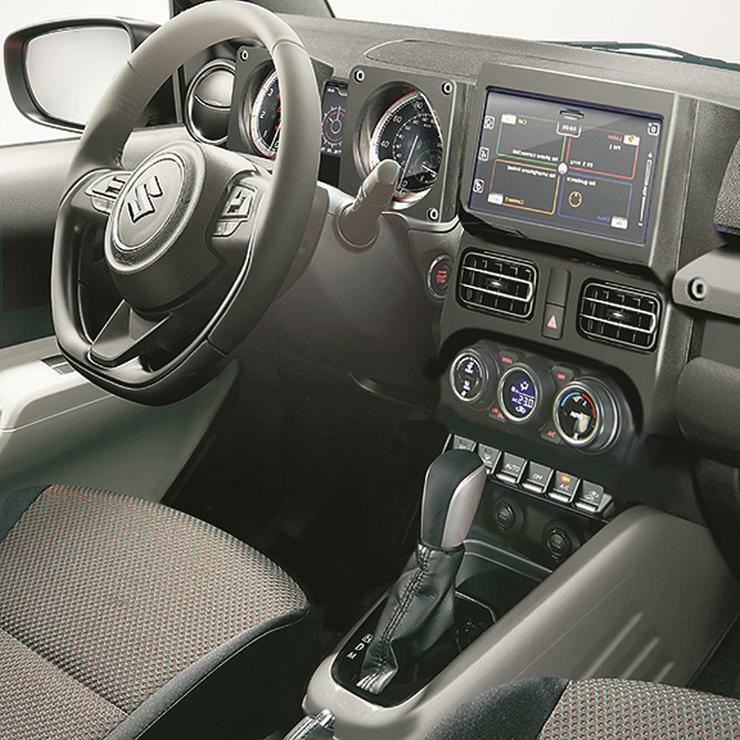 While the layout of the interiors will be basic and hard-wearing, it will be modern enough to pack in a touchscreen infotainment system and automatic climate control. The official showcasing of the car will happen in May 2018.